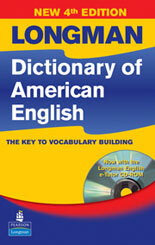 Written with the learner’s needs in mind, the new fourth edition of the Longman Dictionary of American English helps students build their vocabulary. 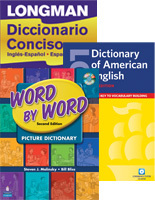 This best-selling learner’s dictionary is also available with the new Longman English e-Tutor CD-ROM that offers students a wide range of practice materials. This updated edition offers extra support for students across the content areas, moving students from understanding English to using English correctly.